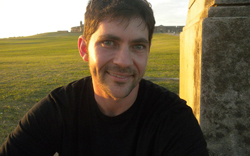 Allen MacDuffie (pictured), associate professor in the University of Texas at Austin’s Department of English, will present “Energy, Ecology, and ‘Breaking Bad’s’ Unsustainability” at 4 p.m. Thursday, Dec. 1, at Ohio State in Columbus. MacDuffie, who’s the author of Victorian Literature, Energy, and the Ecological Imagination, will discuss how narratives within the “Breaking Bad” TV series “register the cultural and environmental logic underlying our present moment of ecological crisis,” according to the event listing. 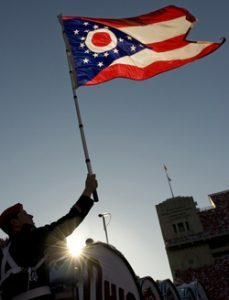 Ohio State’s Environmental Humanities program and Department of English are the event’s co-sponsors. 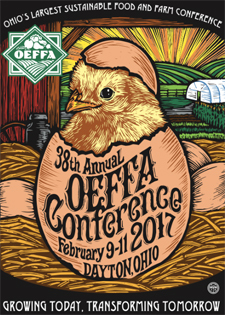 Registration is open for the 2017 annual conference of the Ohio Ecological Food and Farm Association, Feb. 9-11. It’s the largest sustainable agriculture conference in Ohio, and this year it moves to a larger venue: the Dayton Convention Center. Read OEFFA’s press release here. Check out the conference website here. 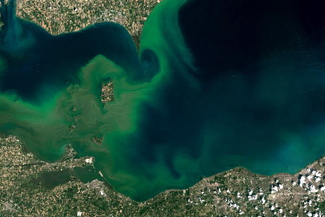 Can we keep our trash out of the Great Lakes? There’s a conference tomorrow in Cleveland on how to eliminate marine debris (plastic trash and more) in the Great Lakes, including Lake Erie. It’s closed to the public, but there’s a second, public event planned for early 2017 to talk about goals developed during the conference. 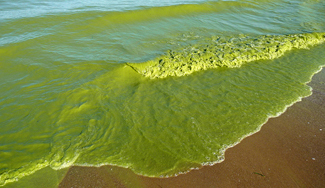 Elizabeth Miller writing for the Great Lakes Today website of WBFO, Buffalo, New York, has the story. The story quotes, among others, Jill Bartolotta of the Ohio State-based Ohio Sea Grant program. ‘Tide turning’ in bloom battle? 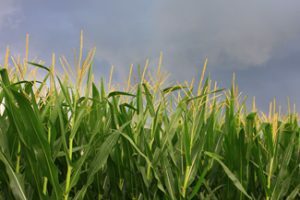 A major project aimed at making corn production more resilient in the face of climate change, whose partners included scientists from CFAES, has been honored by USDA’s National Institute of Food and Agriculture. 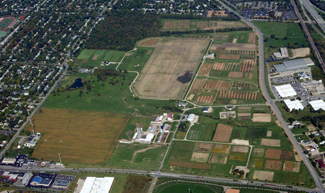 Thursday at 4 p.m.: Future of Waterman Farm in Columbus? A reminder that, while you don’t have to be a member of the Environmental Professionals Network to attend its monthly programs, there are lots of good reasons to join anyway. (It’s free, too, so there’s that.) If you work in an environmental field, if you’re studying in an environmental field and hope to work in it eventually, maybe even soon, the network will link you to “thousands of professionals in Ohio and beyond,” its website says. “Professionals are thus connected in a ‘community’ of people who share their passion for our world and its environment, natural resources, people, and communities — local to global.” Visit the website here. Join here.